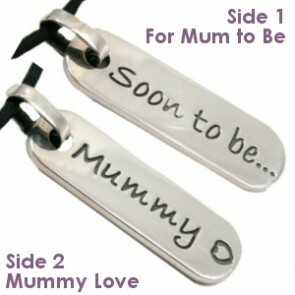 * Soon to Be Mum Gift section, if you want to get her something to celebrate her bump! 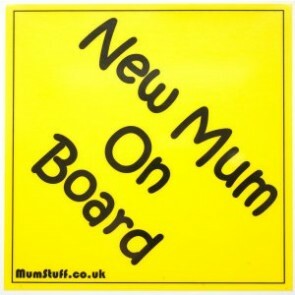 * Our New Mum Gift section is full of gorgeous, pampering and unusual ideas just for mum, so why not buy in readiness of the new arrival? * Don't forget dad too! 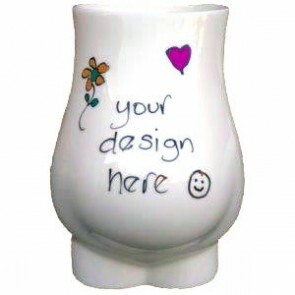 He may well need a little help, so why not get him a fun pressie in our New Dad gift department! 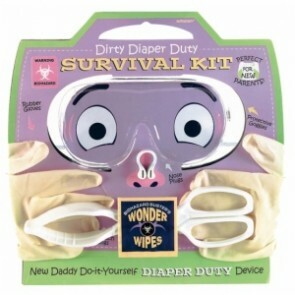 The ultimate gift for the new parents! New parents are often overwhelmed - and befuddled - when it comes to caring for their bundle of joy. 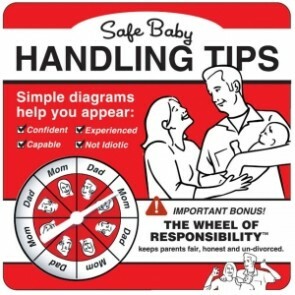 Luckily Safe Baby Handling Tips saves the day with its hilarious 'do's and don'ts' on baby care. The Baby Art Belly Kit allows you to easily and quickly create a wonderful and perfect cast of your pregnant belly. An enduring keepsake you will always cherish - an 'exclusive to you' pregnancy masterpiece. We wanted to create a unique piece of jewellery that would be a perfect gift for mum to be to celebrate her pregnancy but also one that she would be able to wear and treasure forever. Our exclusive design allows you to wear the tag on both sides. 37mm x 12mm x1mm thick. 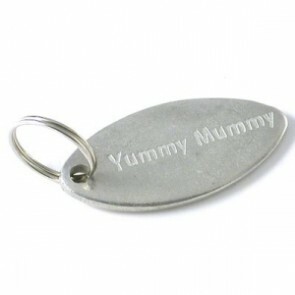 The ultimate pregnancy gift exclusively only at MumStuff! 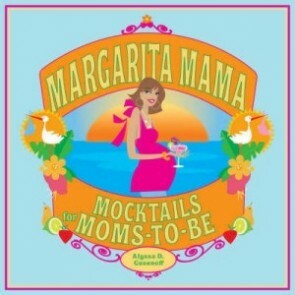 You've heard of the 'bank of mum and dad' well now it's time for the 'bank of mum to be!.